As I grow older, I look for people I really admire and from whom I may learn. Sitting still, no matter what my age, is not an option. I am going through a course on Jim Rohn through Success magazine with my son, Matthew, and a video about the life of John Wooden was a bonus. What a bonus. 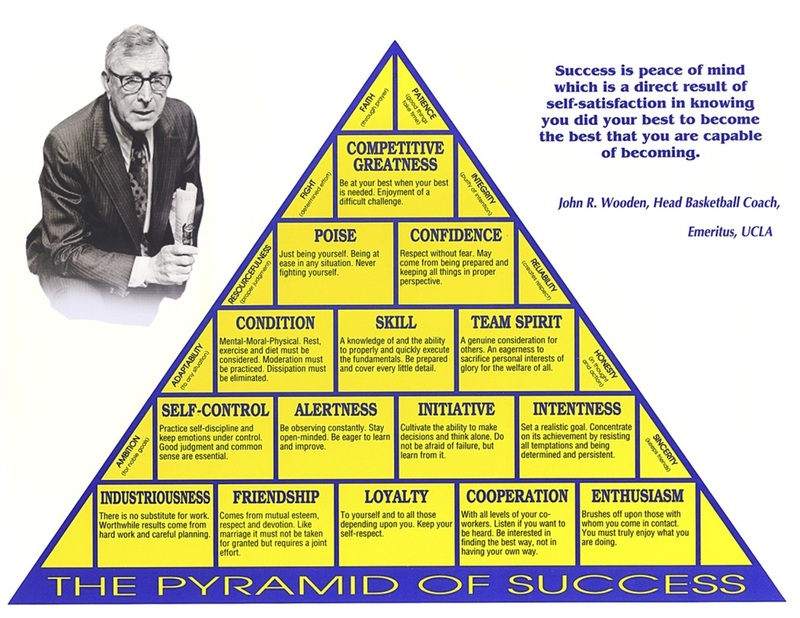 John Wooden was an amazing teacher. He considered himself a teacher and not a coach. His philosophy was to give 100% to every day. 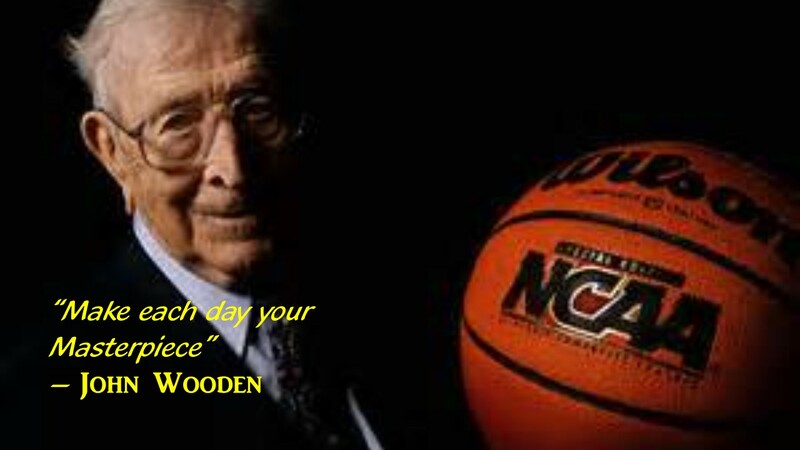 Coach Wooden also lived by the standards he expected from his players. Each year he had an individual plan for each player. Having coached basketball, I really admire his work ethic. If someone was not putting out 100% and working as a member of the team, that person would not play. Coach Wooden never looked at game tapes of other teams, he only wanted his team to be their very best, both as a team and as individuals. His philosophy is to play/do the best a player can. I know that if I do my best, I can accept the outcome no matter what it may be. This entry was posted in Attitude, Divergent Thinking, Financial Health, Fulfilling Life, Goals, Health and Wellness, Mentor, Planning, Self-Worth, Thinking, Uncategorized. Bookmark the permalink. Hello.This article was really motivating, particularly because I was looking for thoughts on this subject last Thursday.